Tube stainless round (mirror polished) made of steel grade AISI 304 (08H18N10) is not magnetic and does not have a large amount of carbon. The carbon content of AISI 304 tubes must not exceed 0, 08%. 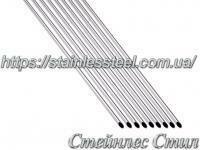 The tube of stainless steel that has a high density and at the same time, remains ductile and is characterized by high corrosion resistance and ability to withstand temperature prepady. 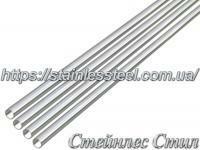 AISI 304 stainless tube includes a chemical composition of 18% chromium. And this is caused by this type of high resistance to oxidation pipe (more than 100 years in a humid environment), aggressive chemical agents and corrosion. 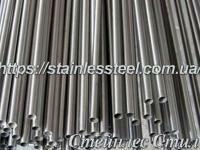 The homogeneity of the chemical composition of stainless steel pipes steel grade AISI 304, which is colloquially referred to as "pipe stainless food" allows products to maintain its internal structure, even in violation of the outer layer. Moreover, the pipe surface in contact with atmospheric oxygen, practically instantaneously formed protective oxide film that provides resistance to acids and alkalis. 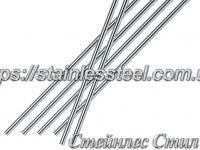 Practical application of pipes of stainless steel grade AISI 304 (08H18N10) quite wide. 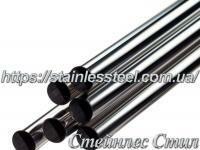 Due to its resistance to mild acids tube AISI 304 stainless found its application in many spheres of life of modern man. As known in the welding process at very high temperatures burn chrome and therefore corrosion resistance stainless steel pipe decreases. But in a pipe of stainless steel grade AISI 304, 10 parts of iron there is one part of nickel, which has a greater refractoriness than chromium, but its anti-corrosion properties - no worse. Remaining after the welding seam due to its refractoriness, he (nickel) continues to perform the protective properties. Pipe of AISI 304 stainless perfectly subjected to polishing, so it can be used in a variety of design work on the design of housing and offices. 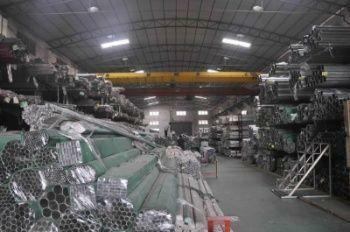 AISI 304 stainless pipe is used almost everywhere. It is used in plumbing work, from a pipe manufactured in AISI 304 heated towel rails and radiators. 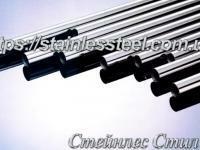 Polished to a mirror finish, this tube can be used to design railings and fences in various staircases, ramps, balconies, as well as in the manufacture of bar counters and office furniture. From stainless steel tubes are manufactured in AISI 304 support columns for piping and other load-bearing structures, metal shelving. 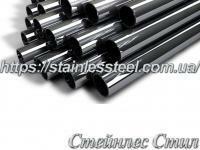 Special resistance to temperature effects and the impact of acidic and alkaline environments typical of stainless steel pipes from this relatively inexpensive price - make it very popular.